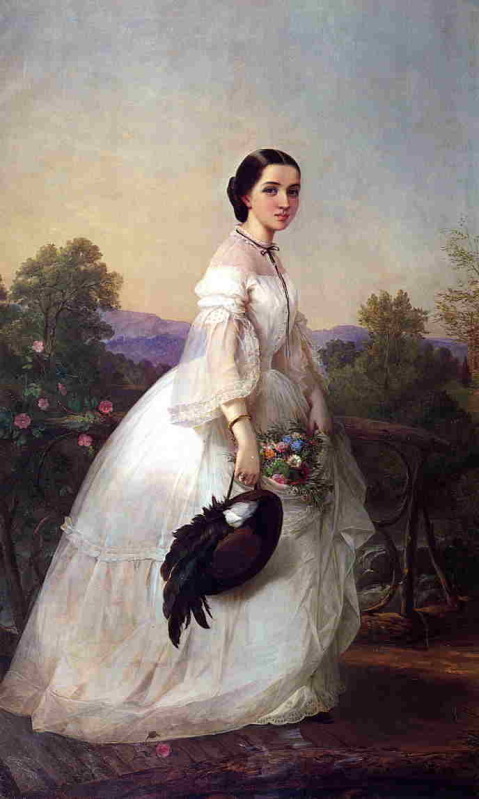 Sheer 1860s Dress in an original painting. This is the dress that my reproduction is based off of. Isn't it lovely? I don't know anything more about this painting...but please let me know if you do! I know nothing about the painting... but it's very, very pretty! Thank you so much, Joanna!